It is unclear how Uganda is doing in its local public service delivery, whilst the poorest in Uganda rely the most on the police. Through collecting feedback and data, it will be possible to identify where and how corruption happens, down to the police officer, procedure, and office involved. Crucially, it will be possible to identify offices with the highest reporting rates of corruption. Through gathering hyper-local, specific data on where and how corruption happens, it is possible to contribute to prevention of corruption or resolution of pressing justice to take place. SEMA is Uganda’s first client feedback system for public services, launched in Uganda back in March 2018. The system is designed for low-income users and the illiterate and can help to identify which offices are most effective and where corruption happens the most. By having (1) a custom-designed and locally-built feedback terminal with happy and sad face buttons; (2) an IVR phone line for citizen feedback voice recordings; and (3) a student-driven effort to interview citizens face-to-face, it has become possible to understand better the overall quality of public services in Uganda. Through partnering with the Justice Law and Order Sector in Uganda, the team follows up on the reports and pushes for improvements, aiming to reduce corruption rate in public services delivery. #1 Gather at least 5000 citizen feedback reports (via device, phone, and interview) before 15 May. #2 Reduce corruption by at least 12% in two different Ugandan public offices before 15 May. #3 Increase citizen satisfaction of public services by at least 10% in two different Ugandan public offices before 15 May. 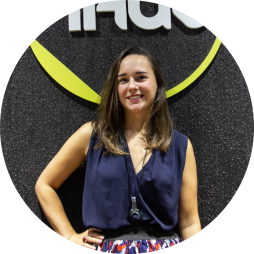 Nathalie Dijkman is co-founder and CEO of SEMA. She has until recently worked as the East Africa Programme Coordinator for the Hague Institute for Innovation of Law on justice entrepreneurship, and has years of experience working with public sector innovation in the East Africa. She is a graduated criminologist with an MSc Human Rights from the London School of Economics and Political Science, and is currently also involved in setting up the Amsterdam Law Hub (a hub for entrepreneurs working on justice issues). Connor Sattely is co-founder and CTO of SEMA. He has years of experience creating innovative technology to amplify citizen voices, and previously co-founded and run a government transparency platform called Gov Faces in Europe. 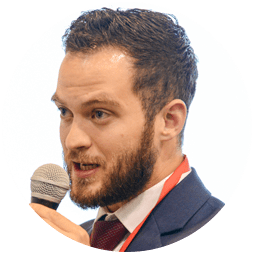 He currently also works as a Business Development Manager at the Hague Institute for Innovation of Law where supports start-ups in the field of justice. He is a graduated journalist with an MA International Affairs from the Graduate Institute for International and Development Studies, Geneva. Read the recently published article on SEMA’s impact and lessons learned from data-to-action work.